Grindelwald, Switzerland offers something for everyone. The greater Jungfrau region is an area for visitors who never get enough of spectacular scenery. Follow the sun as it passes over the 13,642 ft. Eiger – Take a train to the highest station in Europe – the 11,333 foot Jungfraujoch and enjoy the incredible panorama – Oh yeah, and the skiing is pretty darn good too! With over 45 lifts, 200 kilometers of trails and 4,550 ft of vertical, you’ll be sure to wear yourself thin! 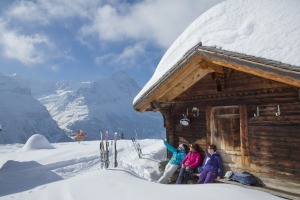 Ski direct from lifts in the center of town to the nearby areas of Wengen and Mürren and be sure to make a stop for lunch at one of the Jungfrau region’s famous slope-side restaurants – the Famous Piz Gloria maybe? Grurzi! 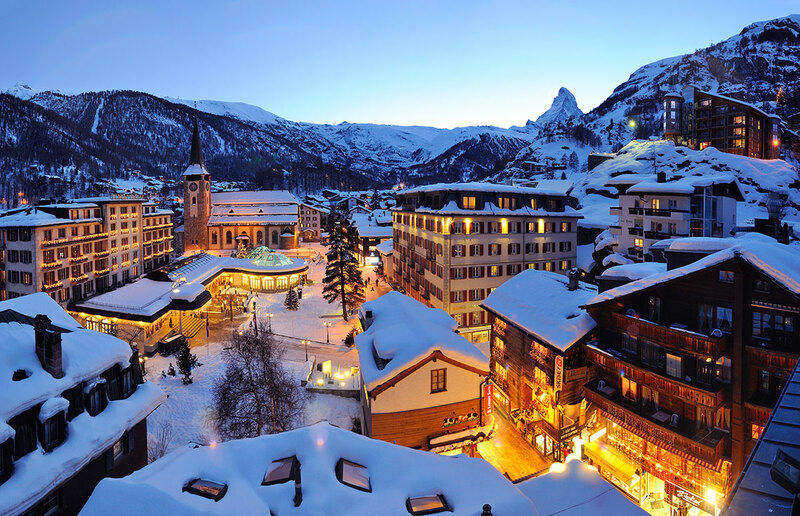 After skiing, spend your time wandering through town shopping or people watching in one of Grindelwald’s cozy pubs and cafes. Dancing more your thing? You don’t have to go far to party in Grindelwald – if you still have the energy left!